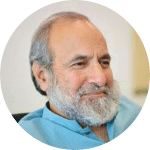 One of the areas where there are serious reservations in the minds of some people about the Quranic teachings is the question of the extent of freedom an individual enjoys in being guided towards the right path or in being misguided away from it. It is alleged that the Quran informs the reader that Allah Almighty allows religious guidance to some people and prevents others from getting it on the basis of His own sole discretion. As a consequence of this perception, many people find it sufficiently convincing to stay away from making personal efforts to achieve progress towards the acquiring and strengthening of faith, because they contend that since they have no role to play in either accepting faith or in rejecting it, why then should they involve themselves in worrying about it at all. Another aspect of the same misconception is presented thus: It is mentioned in the Quran that there are some people whose hearts are sealed, thus being rendered unworthy of comprehension of the true message such that they are condemned to become deaf, dumb and blind with regard to its teachings. Consequently, they are unlikely to make any progress towards acknowledging the truth. If that was the case, so goes the argument, then why should people with such disabilities be blamed for not doing something they were incapable of doing any way given their natural abilities or lack of them. It amounts to blaming them for no fault of theirs. 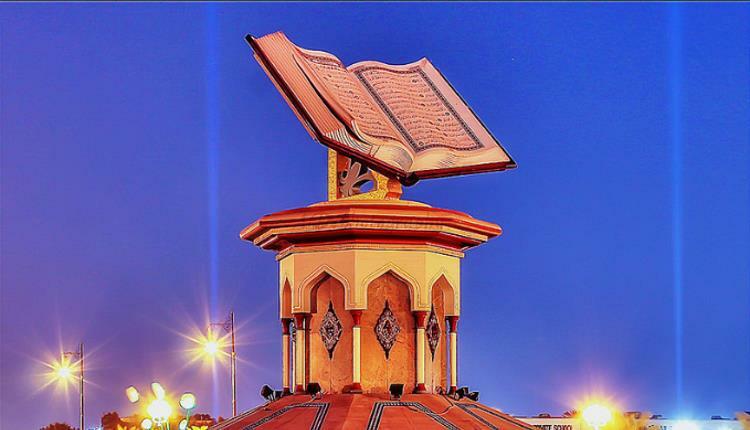 Such misunderstandings prevail because for a large number of readers an important aspect of the Quranic teachings remains improperly understood. The Quran mentions the details of a definite law of guidance which, according to the Book, is uniformly applicable to all people. Allah Almighty implements the law with meticulous precision to all individuals without any discrimination whatsoever. These verses show that in matters pertaining to guidance, man is being treated in one of the two ways. Either the way of guidance is being eased for him or misguidance is being made easier for him. The Quran has used the expressions of taysir 1 (task made easier) and imhal 2 (temporary relief allowed) respectively for the treatment meted out to the two categories of individuals. According to the details available in the Quran on the nature of the law, each individual who has been put through the test of this worldly life has been provided with adequate abilities to distinguish right from wrong, truth from untruth. However, since this worldly part of man’s life was meant to be only a trial in God Almighty’s plan to decide as to who from amongst the human beings are going to be found deserving the privilege of entry into paradise and who are not, evil and untruth were allowed to be shrouded under tempting, attractive appearances. Thus, to tell a lie in many worldly situations accompanies some immediate material gains, while to tell a truth, it requires the truthful to make sacrifices in doing so. However, those who are declining to follow the right behaviour for worldly gains have been provided with enough abilities to know from within their souls that what they are doing is in fact hideous. Therefore, an individual’s act of lying, for example, may bring some immediate worldly benefits for him on the one hand, but would also be accompanied by a feeling of guilt in his conscience on the other. This voice of the conscience continues to condemn if the individual continues to defy its verdicts, although each subsequent stroke of conscience-pricking if ignored is likely to be less pronounced than the earlier ones. In other words, the facility of self-correction from within is not available to individuals unconditionally and endlessly. If the voice of the conscience is valued by the individual through his positive responses to its calls, it grows in strength. If it is ignored, it gets weaker until such time that it finally disappears into extinction. Thus when Allah’s message is presented before individuals, their responses are in direct correlation with the state of their conscience. There are some who give an immediately positive response. Such are the people who had preserved the sanctity of their conscience by always respecting the truth and nobility. Since they were always accustomed to acknowledging and respecting the truth, when the clearest manifestation of truth is presented to them, it is no wonder that they unhesitatingly incline towards it. It is an inviolable law which is enforced through subtle manipulations in the human feelings ultimately affecting the behavioural pattern of individuals. The application of the positive aspect of the law in an individual not only helps him in realizing the veracity of the truth, it furthermore leads him to the higher levels of achievement of it. Thus their life in this world is a spiritual journey made easier (taysir) enabling them to be taken from the darkness of relative untruth towards the ever-brightening light of truth. Those who deny the message of the prophets, they still get the opportunity from God to consider accepting it for a while. On persistent denial, however, the inner conscience begins to lose its God-given ability and when their intransigence goes beyond a certain divinely established limit, the inner damage is rendered irreparable. It is an inflexible aspect of the law of guidance in the case of such people that, as the Quran informs us, Allah seals their hearts, their ears and their eyes such that they do not get any further opportunity from Him of acknowledging the truth. All attempts to bring them close to faith fail, because the inner ability that could enable them to acquire it has disappeared for ever. As a consequence the Quran informs us that Allah has. Such people are described by the Quran as worse than beasts (7:179, 25:44, and 8:22) since they have allowed themselves to remain deaf, dumb and blind to the ultimate truth despite being blessed with such faculties which, if they were properly used, could have lead them to appreciating it. 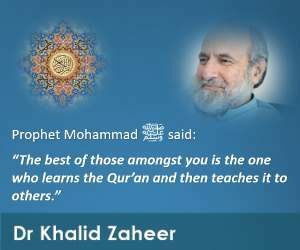 Although the above explanation clarifies the law of guidance to some extent, there is one question that still remains un-addressed: Even if one concedes that the above clarification is valid, why is it then that the Quran mentions that it is only Allah Who guides and it is only He Who misguides? Could not an explanation in lines similar to what has been mentioned above be offered to eliminate all reasons of misunderstanding for the reader? The passage begins by clarifying that as for guidance to Allah’s message, He has decided that in this worldly life it is going to be strictly a matter of an individual’s choice. Allah has decided not to force it upon any one. The right path having been made completely distinct from the wrong one, it is now upon the individual to decide which way to go. If he decides to adopt the path leading to faith — for which he will have to turn “away from the forces of evil”–, Allah would assume the role of his protecting friend, guiding him through the dangers of darkness of ignorance ultimately towards the safety of the of the truth. Those who, despite having enough reasons to acknowledge the message of Allah as true, choose the wrong path, they will be allowed to wander in the darkness of ignorance. The passage clarifies that it is an individual’s own decision of staying away from Allah’s message (remembrance) that initiates the process of his misguidance, which ultimately leads to his destruction. Had he valued the message of Allah, he would have been treated differently in accordance with that aspect of the law of guidance which is for the treatment of those who are destined to be guided. An important aspect of the law clarified in the passage pertains to the manner the behaviour of the misguided is affected. It states that those about whom misguidance is the divine verdict, they are allowed to be obstructed by Satan from going to the right path. In other words, since they voluntarily choose to tread the path of staying away from Allah’s remembrance, Satan is allowed to take them away towards the path of misguidance. All this while they remain under the false impression that what they are doing is perfectly good. The delusion continues till the appointed time of contact with their Creator arrives. It is only then that they would realize that the life they had led in the company of Satan was in fact thoroughly misdirected. That realization, however, would be too late. This passage mentions the example of an individual who got a tremendous opportunity to gain spiritual development — which is indeed true for all humans who get the chance of living in this world — but he lost it by choosing to prefer material gains over spiritual considerations. Had he accepted the challenge and stayed away from those temptations, he would have been raised to great heights of spirituality. However, since he preferred misguidance over guidance, he was allowed by God Almighty to continue to scale down the steep fall of spiritual degeneration that eventually took him to such abysmally low point of spiritual ignorance that he came to be described as similar to a dog who hangs out his tongue in both cases, whether you scorn him or you leave him. Likewise, in the case of this man it is equally futile whether you call him to faith or you don’t, his response would be the same, since he has caused his God-given ability to sift right from wrong to disappear. For want of better expressions, we shall call these two types pre-faith taqwa and post-faith taqwa. While post-faith taqwa denotes an attitude of “being wary” of what God has forbidden or warned against, pre-faith taqwa, being non-religious in nature, simply implies a certain carefulness of disposition, a certain watchfulness of manner, a seriousness of approach which qualifies a man to receive the Quran and become a believer. Christ’s address was given to all and yet it was actually given to those who had “ears”. The Quran is saying much the same thing. The answer is that in verse 2:2 the Quran speaks of pre-faith taqwa but in the verse which follows, it is speaking of the post-faith taqwa. That is to say, it first tells us about the qualification for receiving the Quran and then apprises us of the results of that reception. This shift from one sense of taqwa to another is both subtle and important. The subtlety consists in the almost imperceptible shift which takes place in the meaning of taqwa, the importance in the suggestion that the first type of taqwa, that is, the pre-faith taqwa, should logically lead to the second type, that is, the post-faith taqwa. Imagine yourself first equating knowledge with virtue and telling one of your friends that Mr. So-and-so is a knowledgeable person; you would naturally expect your friend to conclude by himself that Mr. So-and-so is a virtuous man also. Likewise the Quran first identifies pre-faith taqwa with post-faith taqwa in the sense that it visualizes the former as inevitably leading (of course through the agency of belief in the religion of God) to the latter, and then tells you that (pre-faith) taqwa is required to make use of this book, expecting you to infer for yourself that this taqwa must manifest itself in practice. Once you have derived this conclusion, it spells out for you the exact form in which that taqwa must manifest itself.